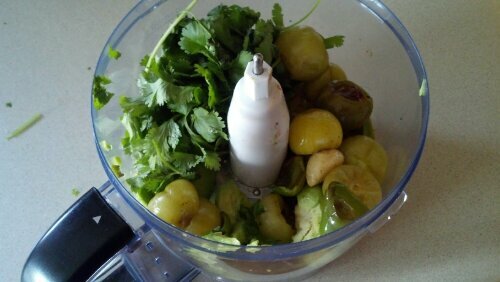 We planted tomatillos because I wanted to make and can green salsa. After making this recipe, I’m not sure we are going to have enough. We ate all of it in one day (ok, ok, in one sitting), and I can’t wait to make more. 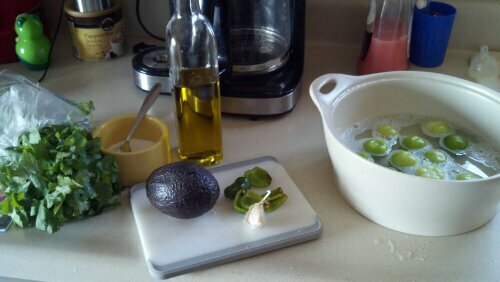 Fill large bowl with soapy water and swish tomatillos to wash off the stickiness. Rinse. You don’t want to taste Dawn. 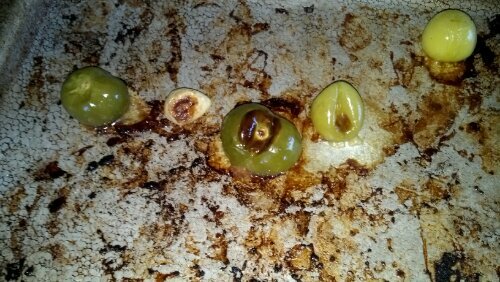 Place tomatillos, garlic and peppers on a cookie sheet and roast until charred. Meanwhile, put everything else in a good processor or blender and process until smooth. Add roasted veggies and process again. Cool in fridge. 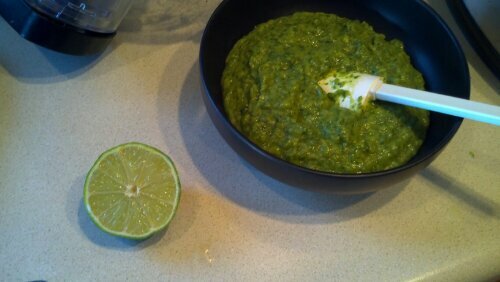 Once cool, add just a couple tablespoons of lime juice. Eat all of it with your favorite tortilla chips. Do this in one sitting.